Donald D. Cratchy, MS, LPCC provides clinical supervision to Acumen Counseling Services, and offers outpatient services to adolescents, adults, and families. 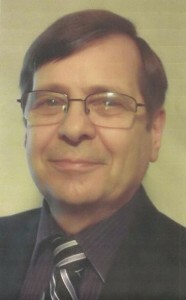 He received a bachelor’s degree in Psychology from the University of Wisconsin – Whitewater, and a master’s degree in Community Counseling from Winona State University. Don has worked with children, adolescents, adults, couples, and families addressing a wide variety of issues and concerns. Past professional experiences include working as a practitioner, mental health professional, and clinical supervisor in school based, community based, correctional, residential, and outpatient services. 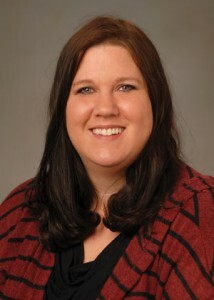 Janis R. Copsey, MA earned her master’s degree in Counseling and Psychological Services from St. Mary’s University in Rochester, MN and bachelor’s degree in psychology and sociology from Viterbo University in La Crosse, WI. She is currently working towards her licensure in the State of Minnesota under the supervision of Donald D Cratchy, MS, LPCC. Her clinical experience before Acumen Counseling Services included working with adults on a variety of mental health issues and providing Dialectical Behavioral Therapy (DBT) with Riverfront Counseling. 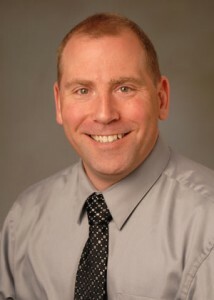 Kevin L. Knack, MS earned his master’s degree in community counseling from Winona State University and his bachelor’s degree in music education from Iowa State University. He is currently working towards his licensure in the State of Minnesota under the supervision of Donald D. Cratchy, MS, LPCC. His clinical experience before Acumen Counseling Services included working at Hiawatha Hall, a dual-disorder intensive residential treatment facility in Winona, where he served as mental health counselor for adult clients. His person-centered approach utilizes a primary orientation of cognitive behavioral therapy. 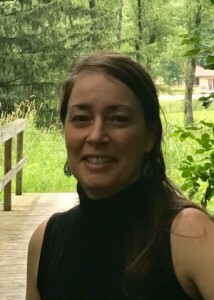 Rebecca Kreger earned her Master of Science in Clinical Mental Health Counseling with concentrations in AODA and Eating Disorders at the University of Wisconsin, Stout, a CACREP accredited program. During that time, she was initiated into the Iota Sigma Chi chapter of Chi Sigma Iota as an Executive Board Member. Chi Sigma Iota is an international honor society for counseling students, counselor educators, and professional counselors. She earned her Bachelor of Science degree from the University of Wisconsin, La Crosse where she was inducted into PSI CHI, the Chapter International Honor Society in Psychology for recognition of outstanding scholastic achievement and excellence. Rebecca is currently working toward licensure in the State of Minnesota under the supervision of Donald D. Cratchy, MS, LPCC. Her clinical experience prior includes providing individual and group therapy to students on a college campus and individuals in the criminal justice system both in the community as well as institutions in the State of Wisconsin. Rebecca is a veteran of the United States Army. She is certified as an Anger Management Specialist-I through the National Anger Management Association. She is also certified as a QPR Gatekeeper and is working to become a QPR Gatekeeper Instructor in order to train others in this suicide prevention strategy. Rebecca will also be working to become certified as a Dialectical Behavior Therapist.